SHIFT Charlotte is our very own, locally grown and produced Mind-Body-Spirit metaphysical event. In our 10th year, this is the premier event in Charlotte for our community to get together. SHiFT Charlotte was created as an opportunity to share the incredible work of our local vendors with our local community. We accept vendor applications from businesses in the greater Charlotte area and the Central Carolinas. SHiFT Charlotte is not held in a typical convention center environment which is awesome for a bunch of reasons (we love donating to charity for our rent), but it presents different challenges on the vending floor as it relates to booths and sizes so pay careful attention to our booth information below. No tents will fit - we do not do pipe and drape - and we get real cozy to our neighbor booths. All the info is below, just make sure you are familiar with it before you apply so we all stay happy with each other later on. ﻿SHIFT Charlotte 2019 will be held at the Oasis Shriner's facility in the University Area of Charlotte. With the ability to handle our large crowds, multiple classrooms, and exceptionally diverse vending floor, the Oasis Shriner's facility has been the perfect home for us. The facility is less than 5 minutes off the W.T. Harris Blvd exit from I-85. This is a curated vendor floor so we will use your application to ensure that we have a good mix of services and products that relate to mind-body-spirit, health & wellness, earth friendliness, spirituality, metaphysical, holistic, alternative, and integrative practices. Submitting an application does not guarantee a vendor rental space. In order to ensure a wide variety products and services, we reserve the right to accept and reject applications based on number of booths already approved in your category, the professionalism of your company, the completeness of vendor application, and/or based on keeping the integrity of the event focus intact. Pay attention to the links and information you are providing us as this is what we use to assess the match of your product and service with our event. It will not help your cause if your links do not work - hint hint. * Invoices will be sent upon approval and are due within 15 days upon receipt (or before March 15, whichever comes first). Pick one of the options below to find out more. If you go and decide it is not for you, just come back to this page to find out more. ​Who should I contact if I have any questions?  Thanks for considering SHIFT Charlotte – we look forward to hearing from you soon!